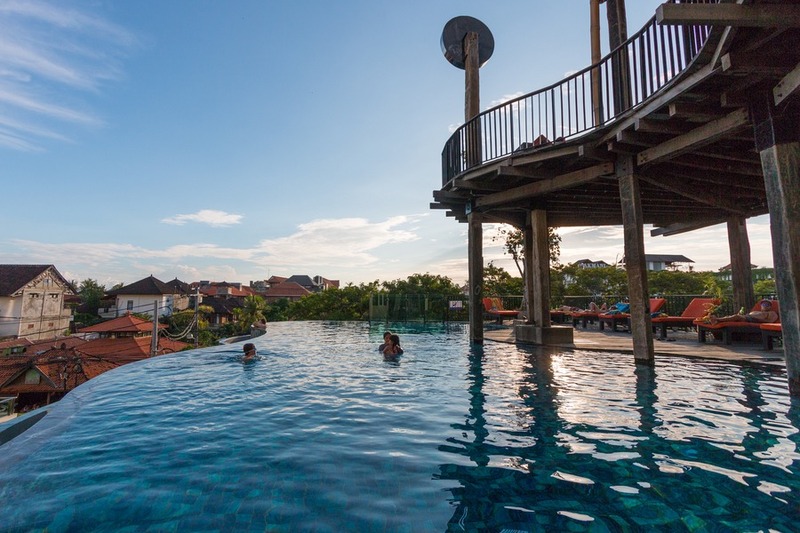 During our recent trip to Bali, Sun Island Bali asked us to try 5 of their hotels around the island. 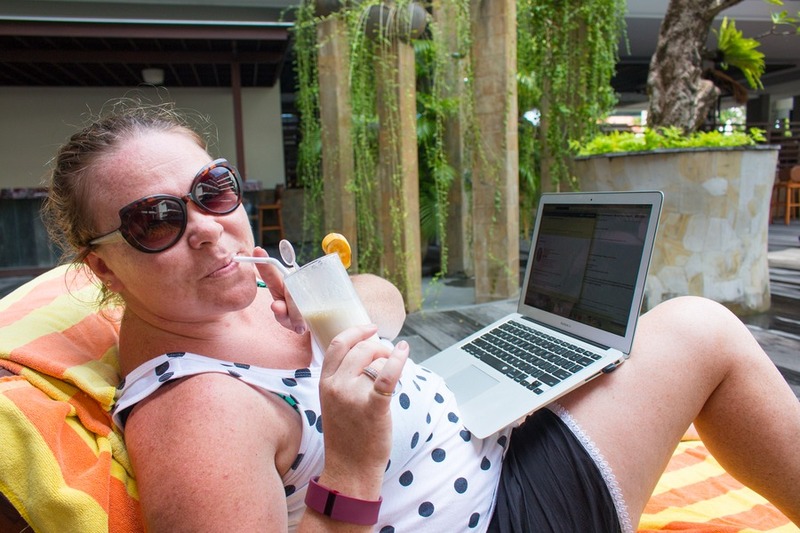 A whirlwind taster of Bali’s most popular holiday spots sounded like the perfect jump-start to get back into our nomadic groove after 6 lovely weeks visiting family in Melbourne, Australia. Bali offers a wide range of holiday experiences from heart-pounding adventure, to pure serenity and everything in between. 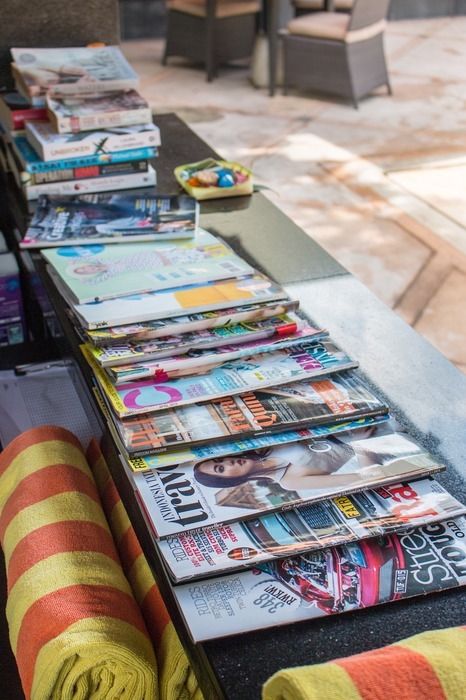 We realised there truly is something for everyone… if you know where to look. 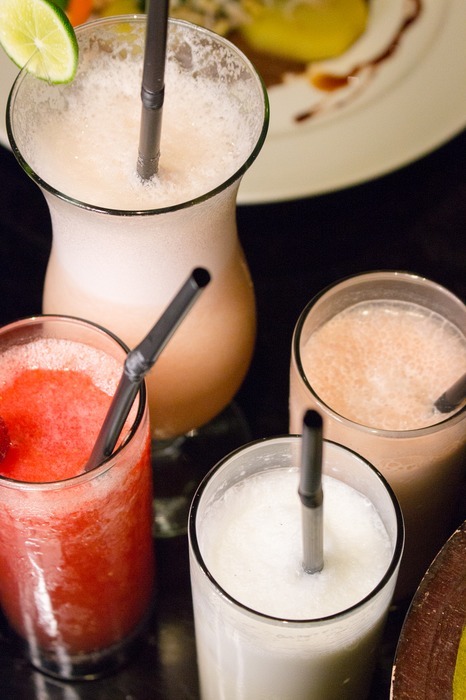 So what style of holiday are you looking for? What’s your mood? 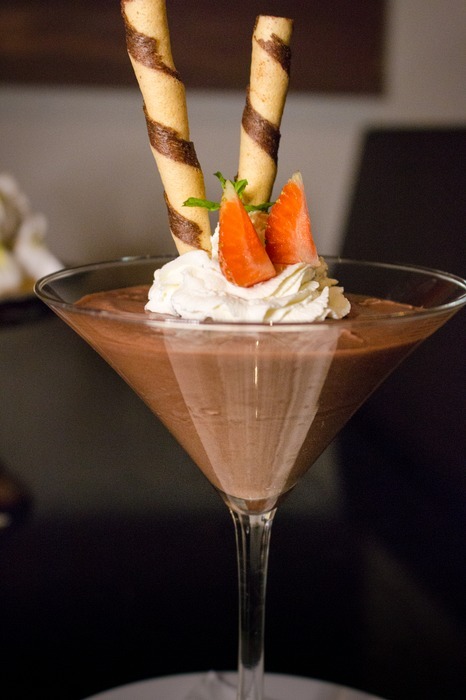 There are times when you need this type of holiday - when you just want to relax and unwind. Hidden away from the rest of the world. Completely secluded. 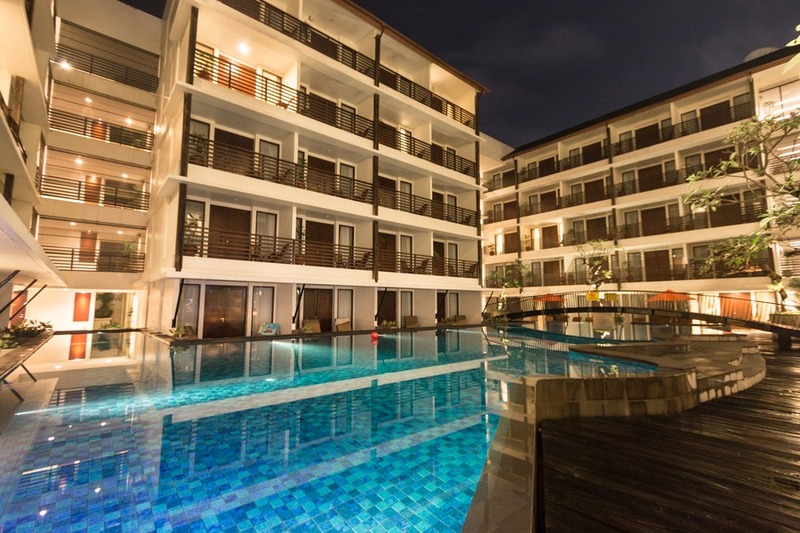 Sun Island Suites is situated between Jimbaran and Nusa Dua. Goa Gong is a relatively new area for tourism in Bali, but I am sure it won’t take long before more people discover this hidden gem. It’s the consummate haven to escape from the haste of the world. 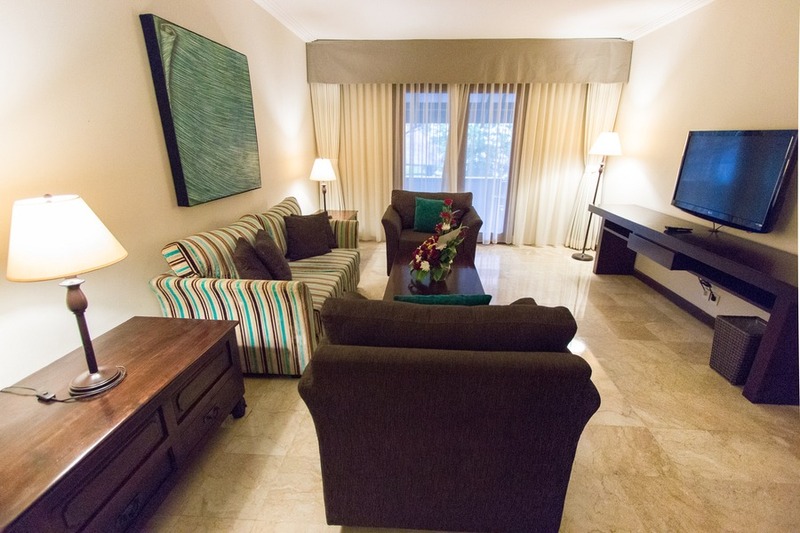 We stayed in a tastefully decorated 2-storey luxury unit with 2 bedrooms and a spacious living area. 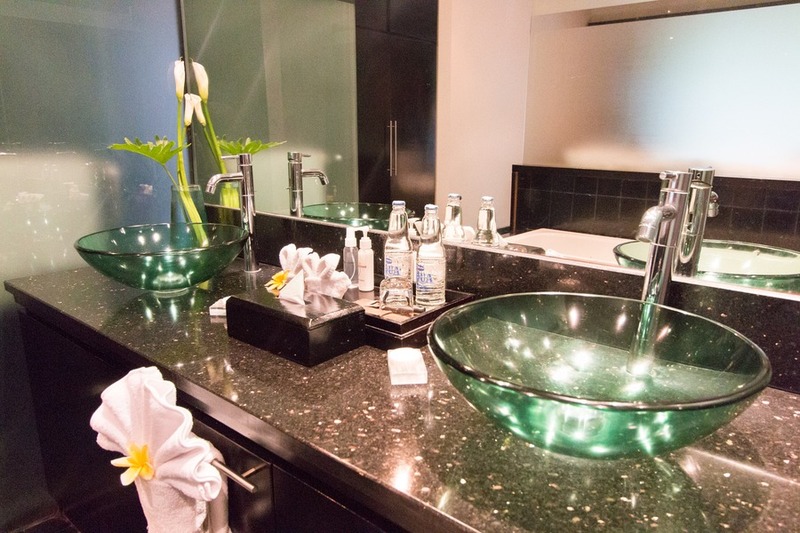 It came complete with cable TV and all modern conveniences you’d expect in a luxury suite. I loved that this place offered a full size private swimming pool with deck chairs. And a few steps further, a large communal grassed area, ideal for a ball game with the kids. But the panoramic views over the ocean and mountains stole the show. We woke in the morning to clear blue skies and mesmerising views of Mount Agung, reflected like a mirror in the pool. Ah, postcard perfection! 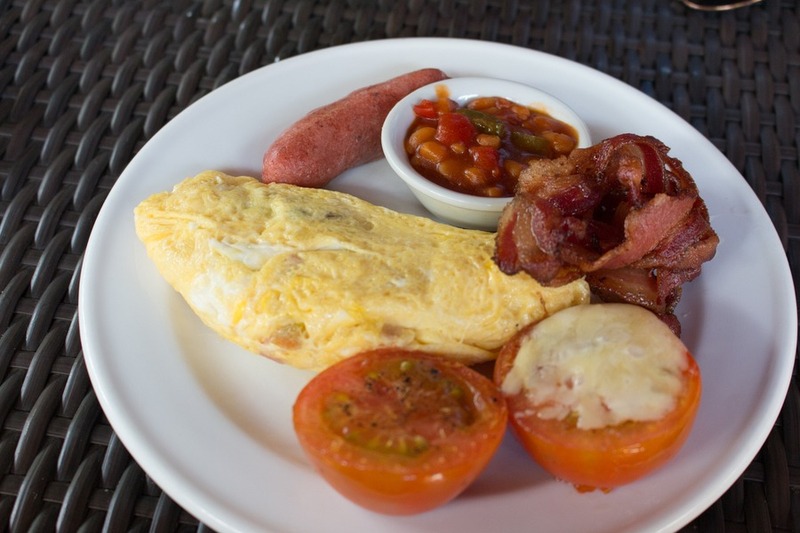 Breakfast was prepared by staff in the fully equipped kitchen each morning at a requested time. However, there was no onsite restaurant so lunch and dinner are up to you. Either stop at a supermarket on the way to the suites and prepare your own meals. 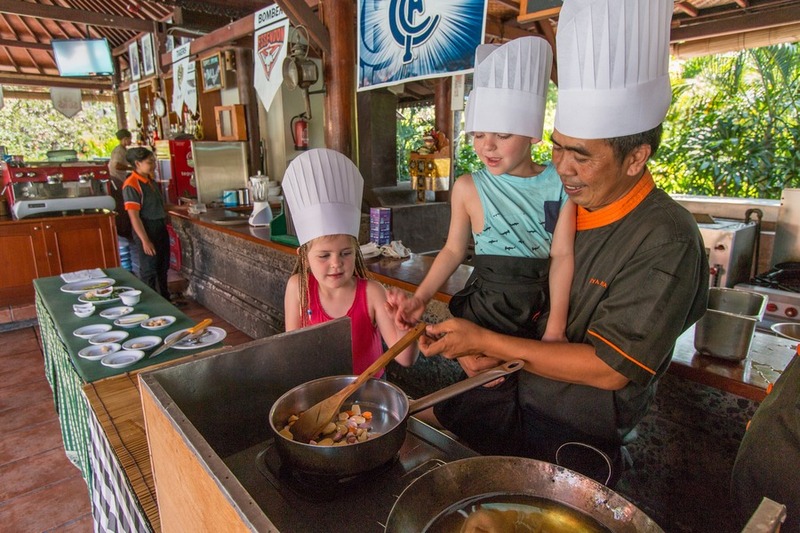 Or you can organise a surprisingly affordable personal chef during your stay (best to book the chef at the same time as the accommodation). 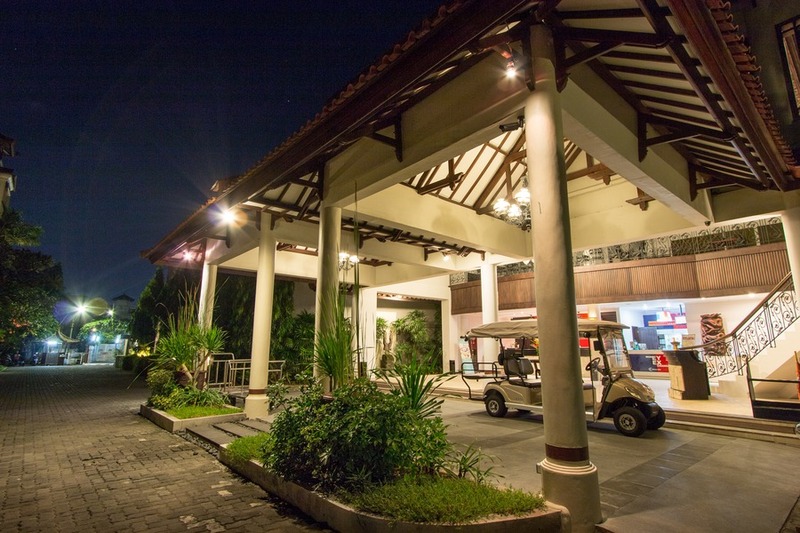 Or, like us, ask the complimentary shuttle bus to take you to Jimbaran, Kuta or Nusa Dua for a meal. 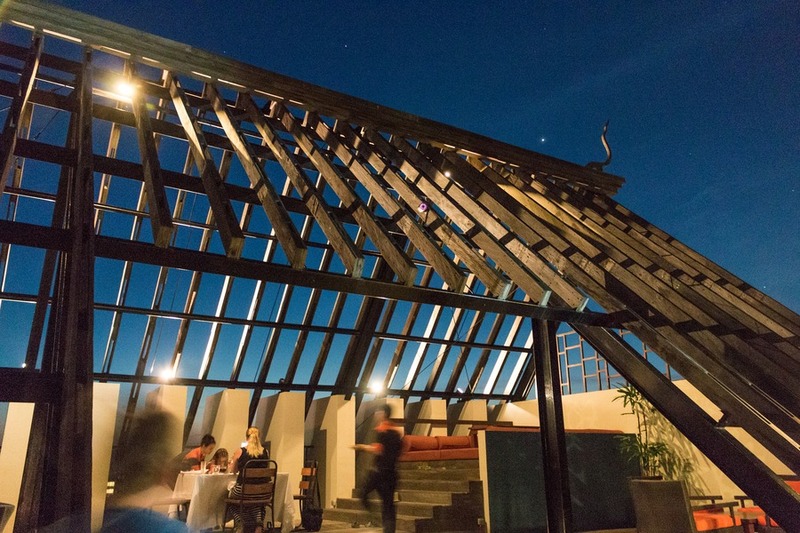 While the location was slightly inconvenient, it also created the secluded atmosphere we were seeking. Wi-Fi was surprisingly consistent considering Bali and the remote location, but still not going to win any speed awards. When you are in the mood for shopping, eating and fun in the sun then this is the place you want to be. 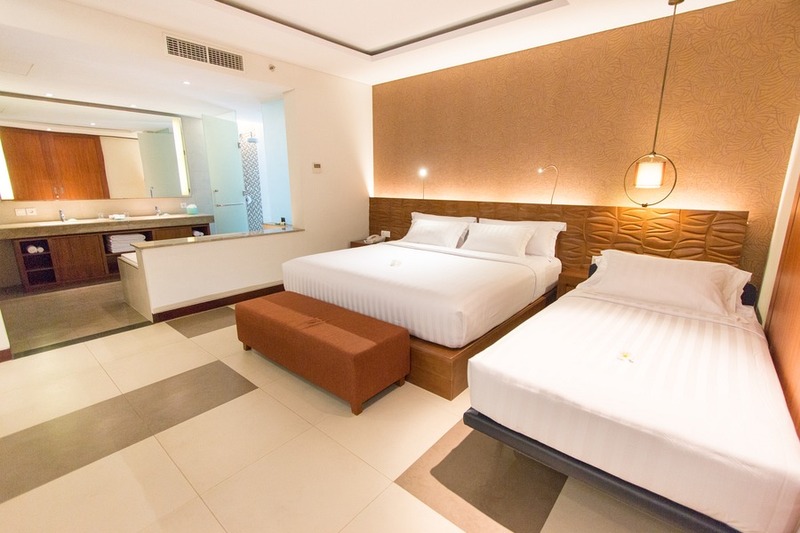 Centrally located in the famous Kuta district, along the same road as Waterbom Park (#1 waterpark in Asia) and the Discovery Mall, is Sun Island Hotel Kuta. In fact the hotel is only a few short minutes walk to each. 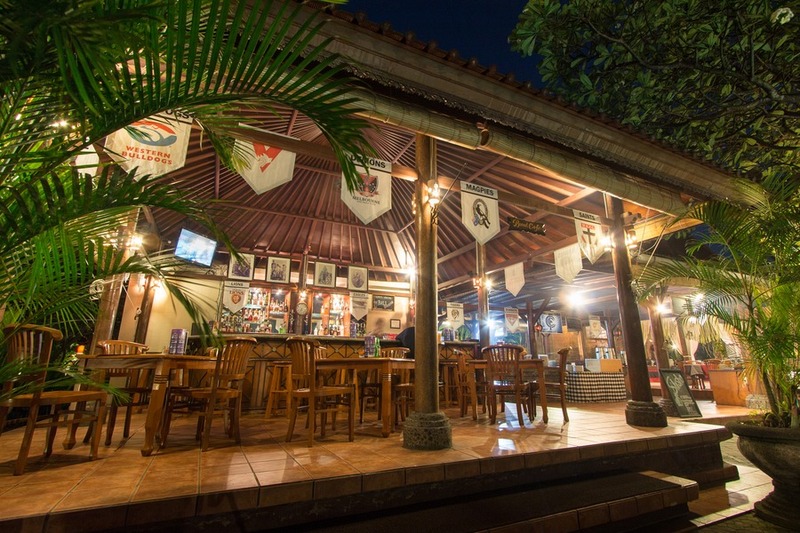 And if you want to feel the sand between your toes, the popular Kuta Beach is only a 5-minute walk north. 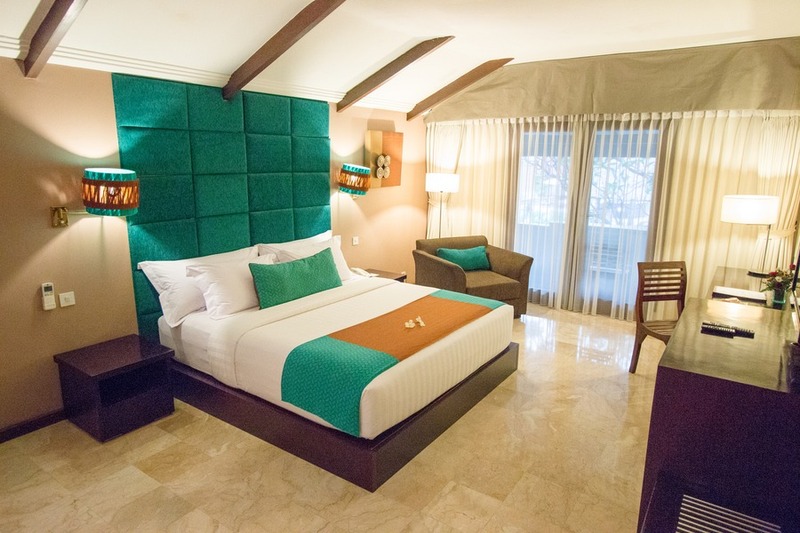 While outside is a busy road lined with markets, hawkers, restaurants and endless traffic, the hotel is set back from it all so you still have the peace you crave after the holiday shopping and waterparks are finished. 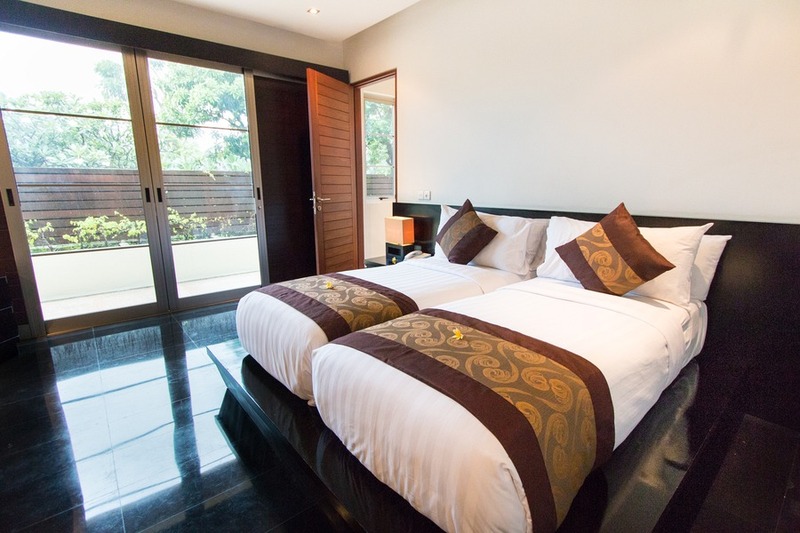 Being opened just over 2 years ago, all the hotel facilities are very modern, combining contemporary and Balinese style. 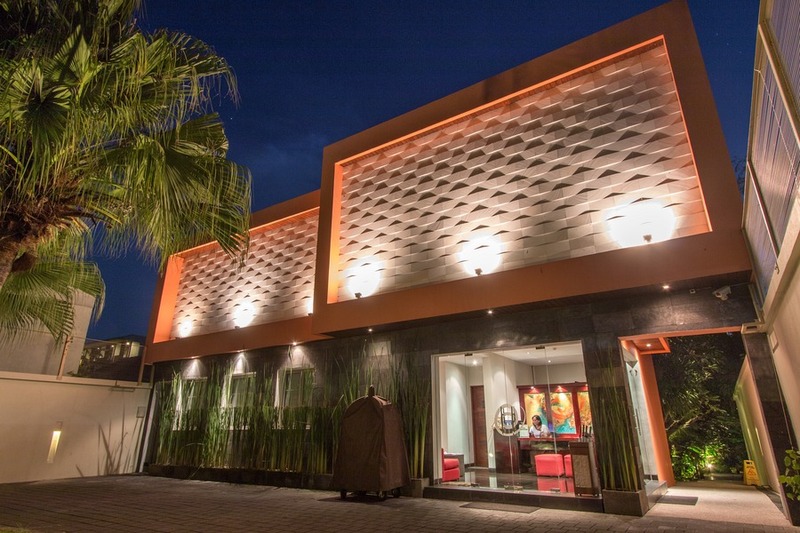 The on-site restaurant offers a wide range of Western and local dishes so if you don’t want to leave the hotel you don’t have to. 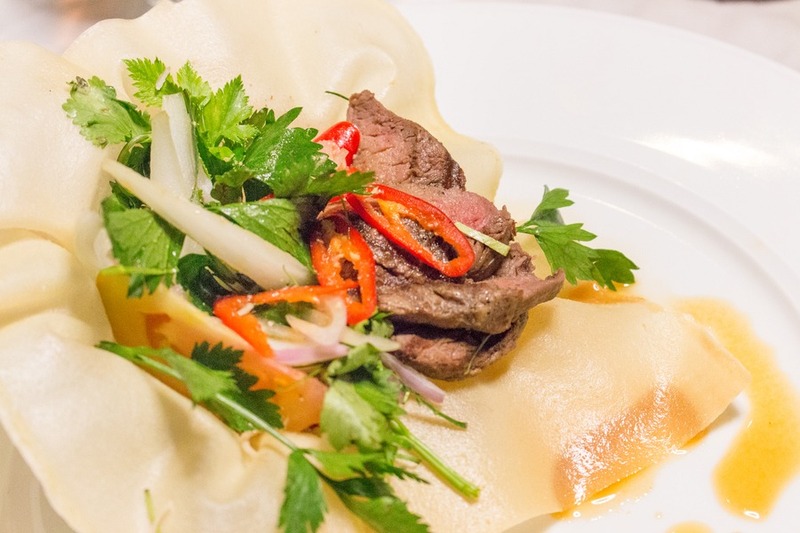 Or if you venture out just a minute or two walking before you’ll pass dozens of restaurants with cuisines ranging from Japanese to American. Our kids loved the large pool with a dedicated shallow area for children, while Josh and I relaxed on shady lounge chairs. We stayed in a family room which consisted of an interconnected suite and deluxe room. 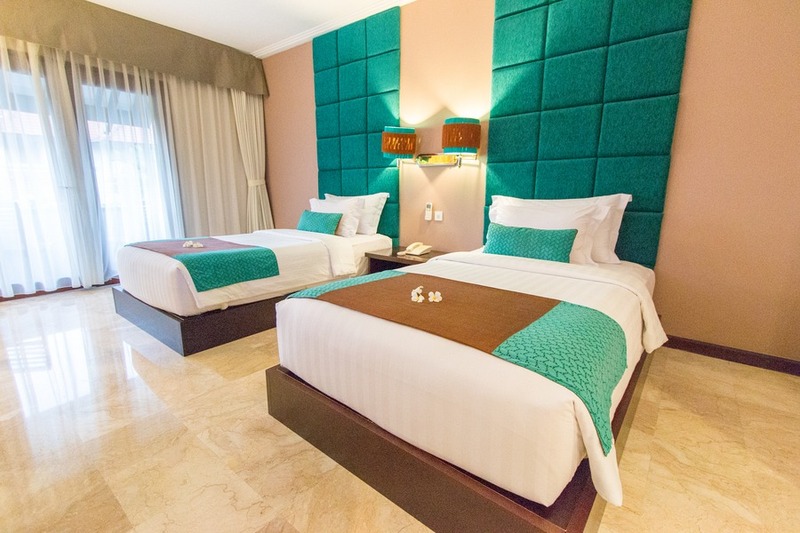 The separate bedrooms and plush pillow-top beds guaranteed a peaceful night’s sleep. The delicious breakfast buffet with on-demand egg station started the day on the right foot. 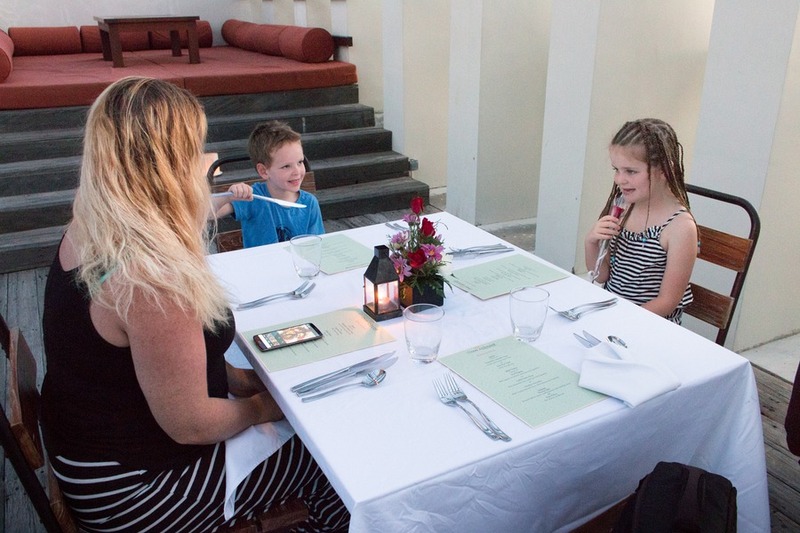 And we also enjoyed dinner in the hotel restaurant which dished up surprisingly tasty meals and received a unanimous thumbs up. Read more about the food here. Being heavily dependant on electronics, we appreciated the built-in power adapters as well as their convenient locations around the suite. Wi-Fi was consistent and a little faster than the Goa Gong suites, but not by much. As long as you’re sharing holiday selfies and not trying to stream Netflix, you’ll be fine. Planning a holiday can be tricky. What if you want BOTH relaxing isolation and bountiful shopping too? 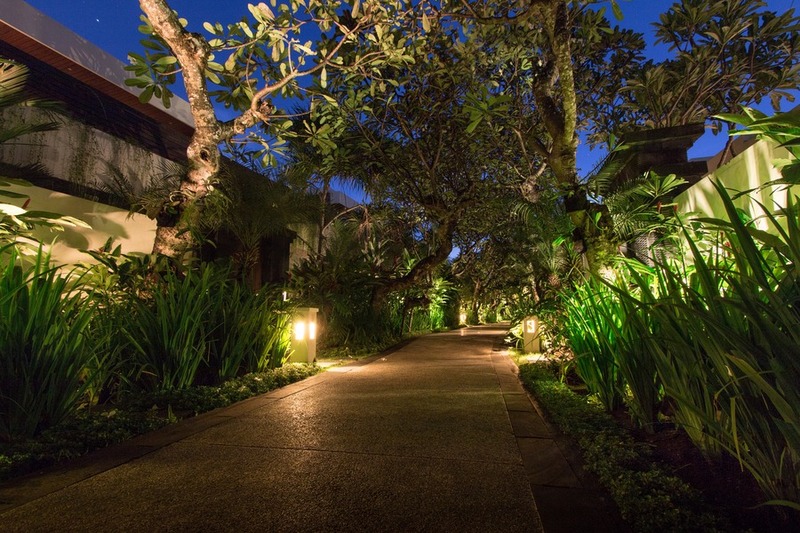 Sun Island in Seminyak exemplified a lush oasis in the middle of the urban jungle. 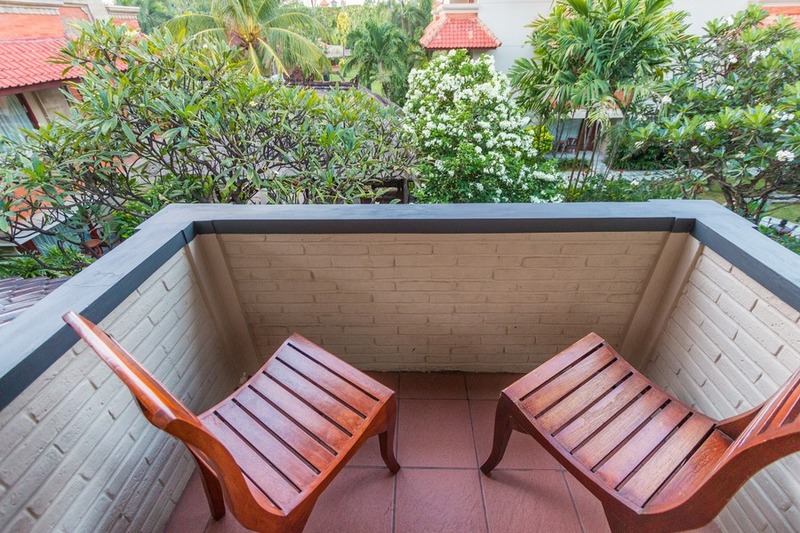 We could still conveniently visit nearby markets and restaurants, but being set further back from the main road, the very private villas made us feel like a million miles from anywhere. Our check-in was delayed significantly when we arrived, however the on-site restaurant provided complimentary afternoon tea from 3 to 5pm every day, which helped pass the time. Afternoon tea consisted of a small plate with a sandwich, 2 pieces of cake and 2 spring rolls or something similar, plus coffee, tea or a refreshing iced chocolate. 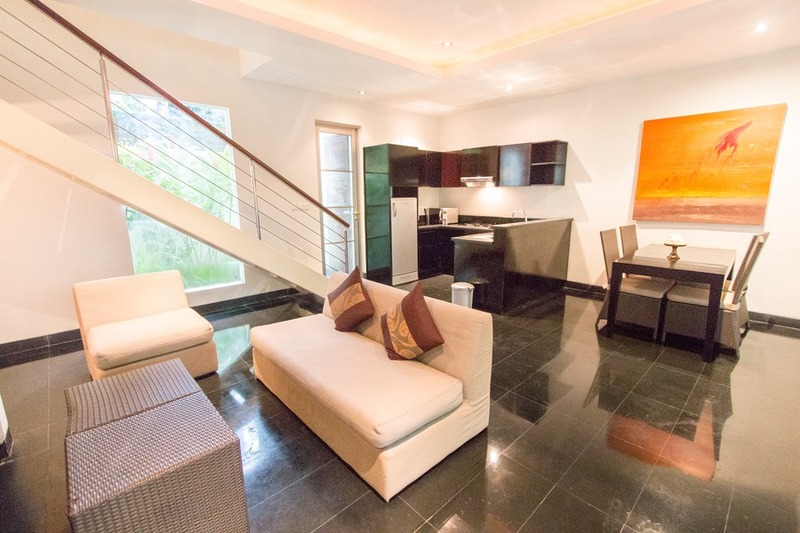 We stayed in villa #8, which was a 2-storey residence with 2 bedrooms, 2 bathrooms, kitchenette, dining and living room. The master bedroom overlooked the garden and small private swimming pool, with a large bathroom behind it. There were drinks in the fridge, but it was not clear whether this was included like at Goa Gong or charged like a regular mini bar. However the full-sized fridge provided plenty of room if you wanted to bring your own food. 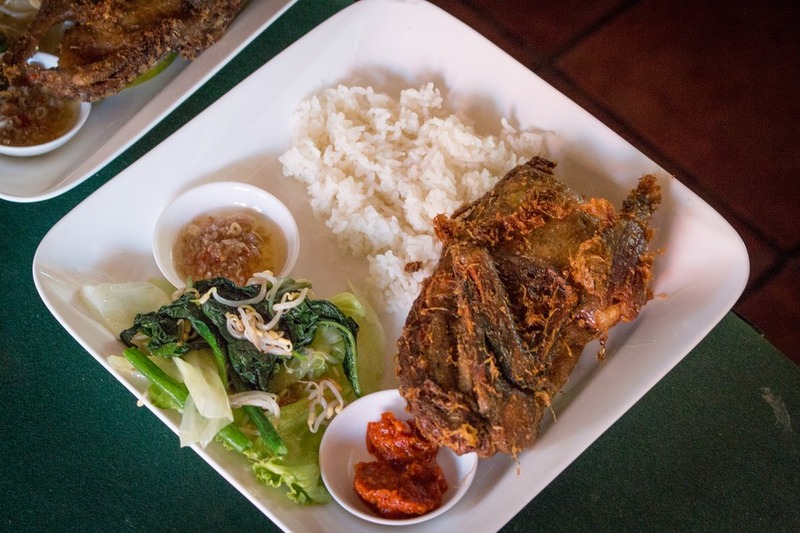 A supermarket (Bintang) was located less than 100 metres down the road if you preferred to prepare your own meals. Situated upstairs was a private outdoor hut with two lounges. Because of the uncommon delay getting into our room the hotel offered us a complimentary massage. It turned out to be a blessing in disguise. The onsite spa might not have been the largest or fanciest we have been to, but the therapist was top notch with a flawless technique. 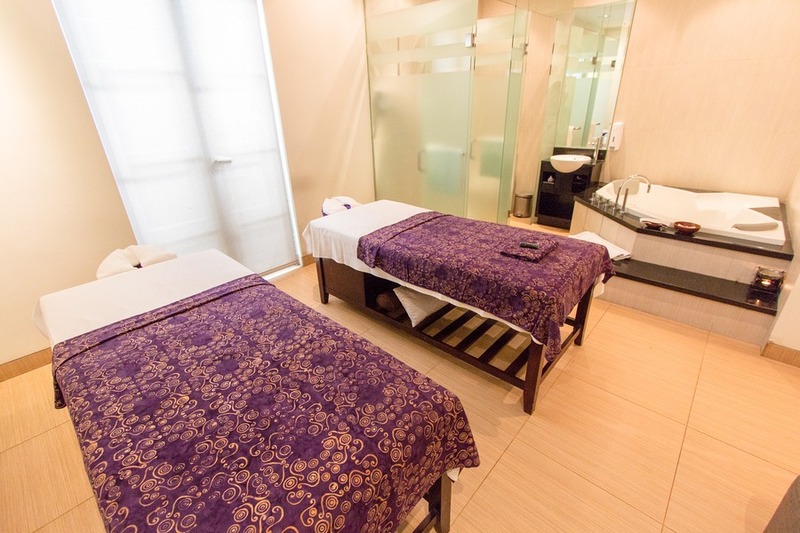 In fact, Josh said it was quite possibly the best massage he’s ever had in Bali. 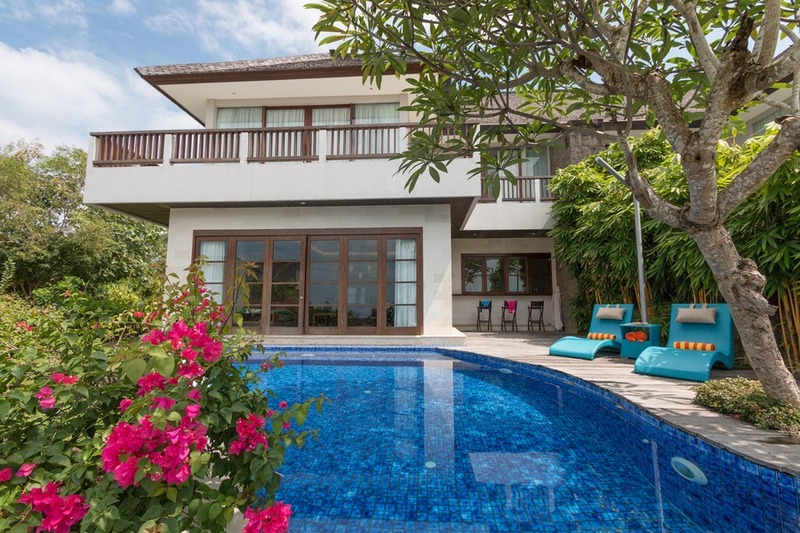 You can choose to have breakfast delivered to your private villa or eat at the poolside buffet. Eggs were made to order and they had my favourite eggs benedict on the menu. Strangely, it was served on toast, but the eggs were perfectly cooked. And Josh’s evergreen favourite, an omelette with everything, was spot on. 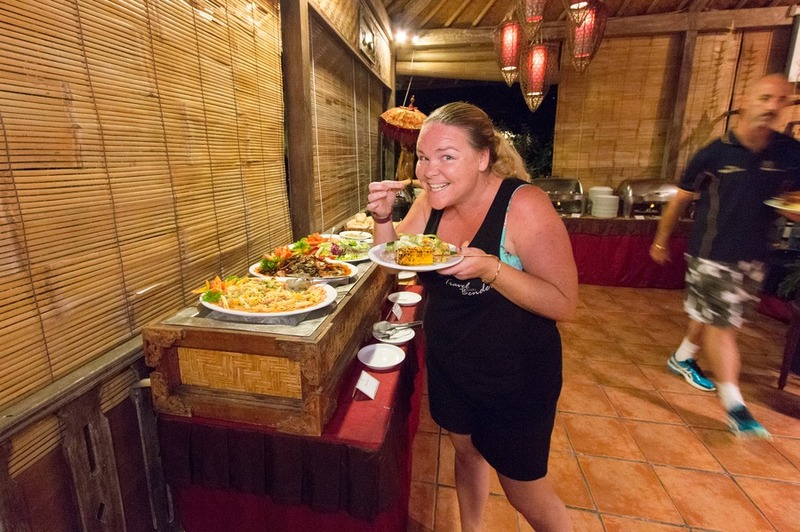 I couldn’t get over how friendly and genuine the staff were at the restaurant, offering to help in any way possible - even more than the already open-hearted Balinese culture we’ve come to love. 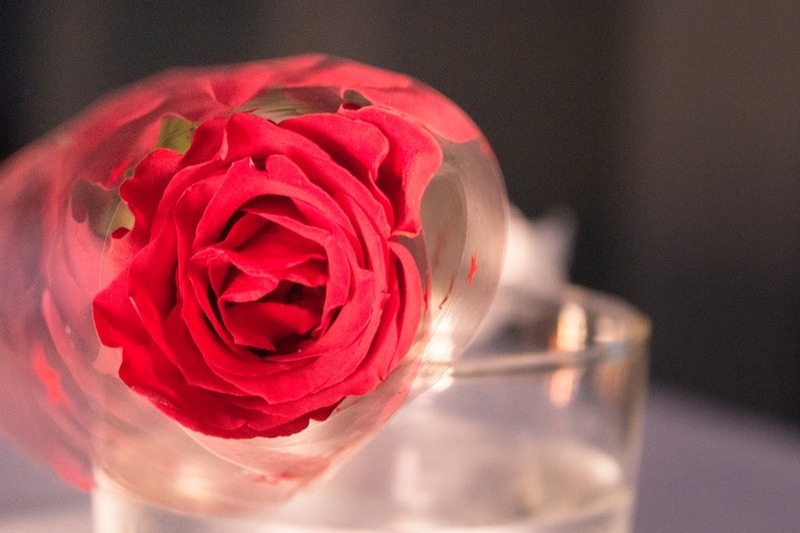 They remembered our names, food preferences and made thoughtful suggestions that demonstrated they not only cared and listened, but also understood what was important to us. I can see why hotel guests often come here back time and time again. 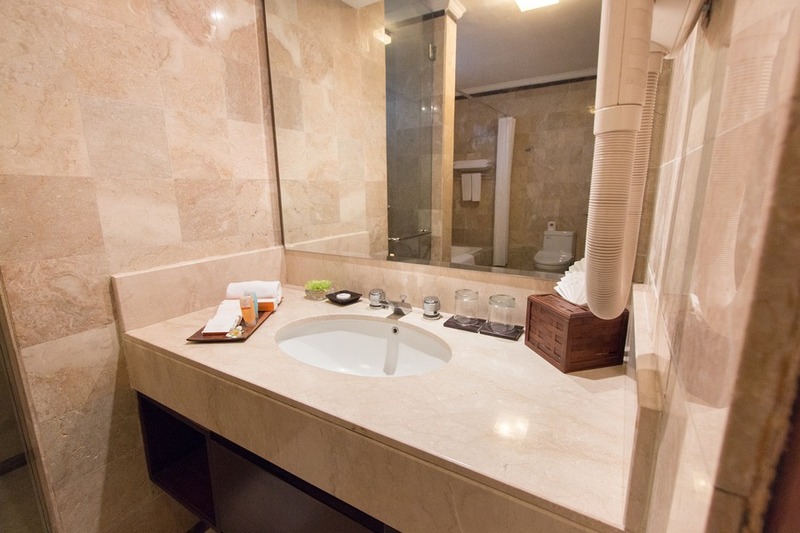 The staff are just as much a drawcard of the hotel as the pool, villas and other facilities. I couldn’t get a solid Wi-Fi connection by the pool, but it worked well in our villa, except during heavy rain. Again, don’t expect breakneck speeds, this is Bali. 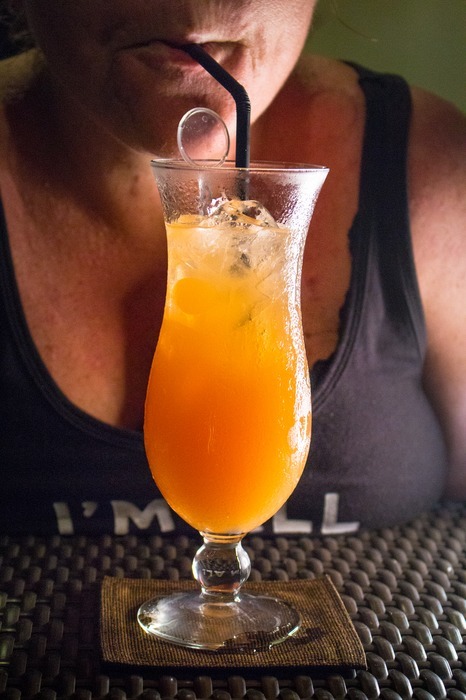 When you need an uplifting drink at a trendy bar or want to get down with a little boogie on the dance floor, there’s only one place in Bali to go… Legian. Brand new on the scene is this stunning hotel that will impress from the moment you walk into the lobby, with its garden-clad wall. Yes, you read that right. 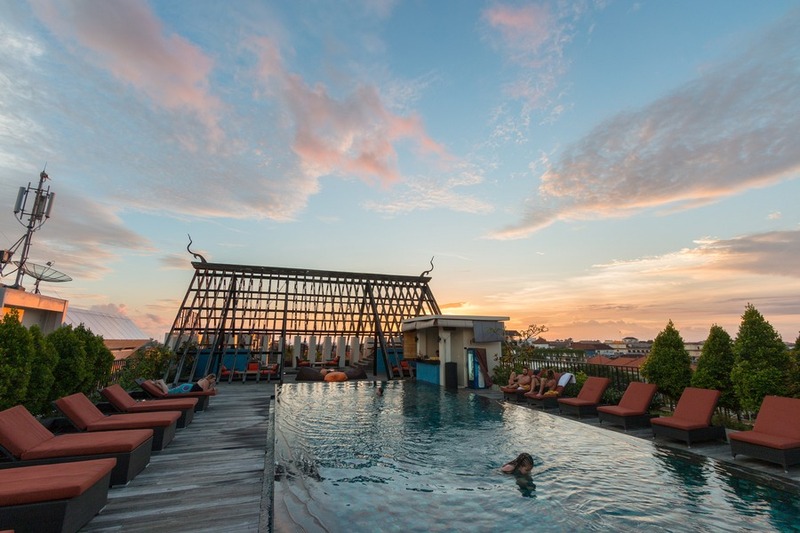 My favourite feature of this effervescent hotel was not 1, but 2 rooftop pools. 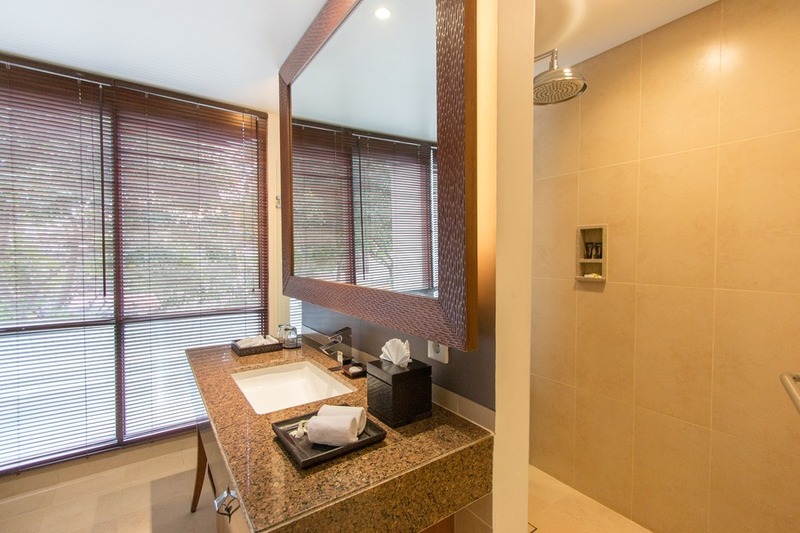 An infinity pool on the 3rd floor overlooking the street below and a large shallow wading pool on the 5th floor. The 3rd floor pool sported a swim-up pool bar, while the 5th floor was the place to tan and chill. 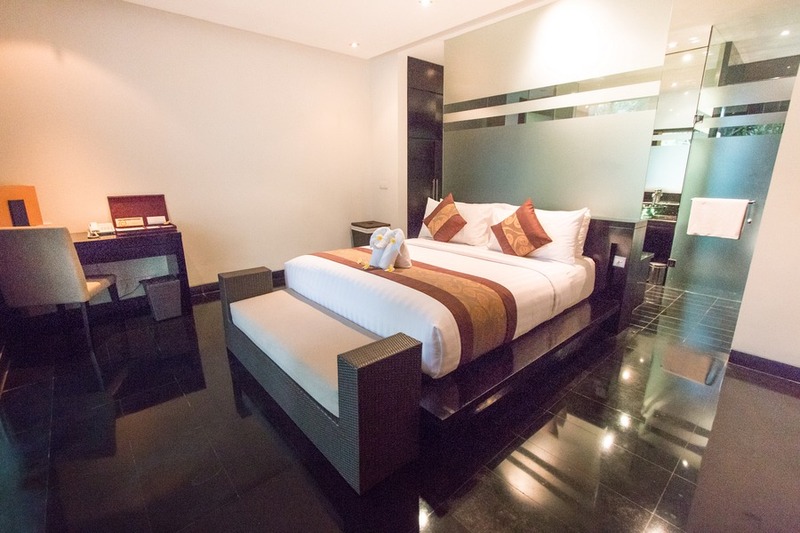 We stayed in a suite which delivered ample space with a large king bed and a comfy living room. We also got two pull away beds for the kids and there was still plenty of space to spare. I have to admit what really made this hotel were the staff, they were so friendly and constantly trying to make our day better. 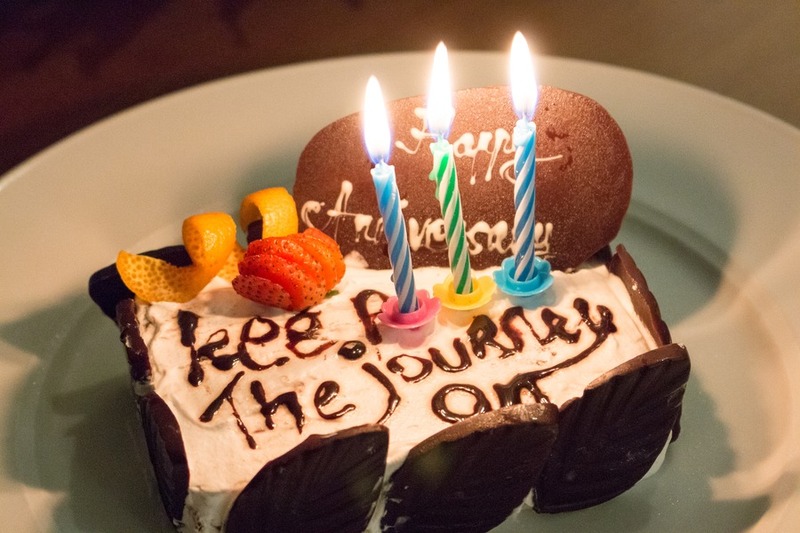 We happened to be in Sun Island Legian during our 3rd anniversary of nomadic travel and they really spoiled us. 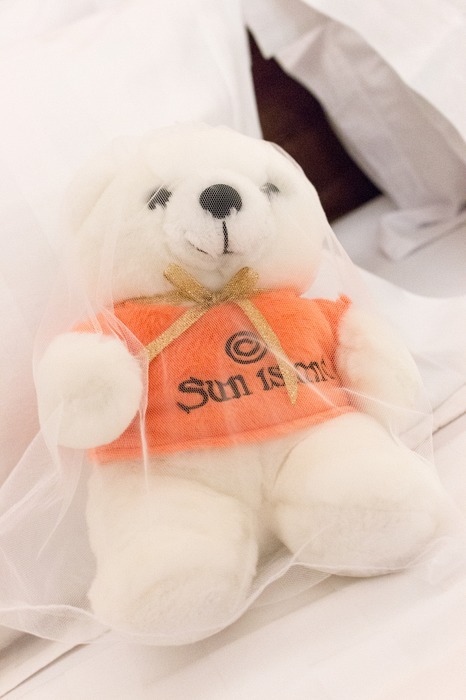 We arrived back at the hotel after a fun day at the Canggu Club to cute teddy bears and an enormous bouquet of roses, followed by the delivery of a cake emblazoned with a congratulatory message. 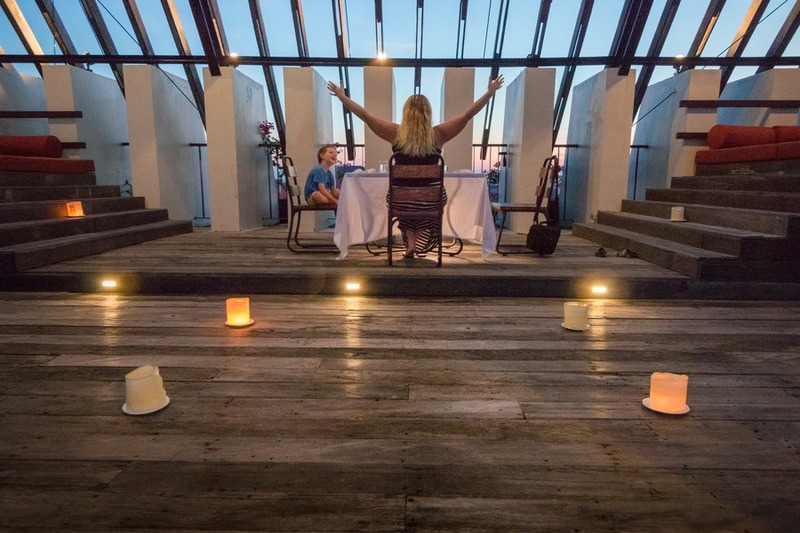 Later that evening we were invited to celebrate dinner on the rooftop under the setting sun and soft candlelight. A perfectly timed rising full moon on the horizon topped it all. The scene was beautiful. 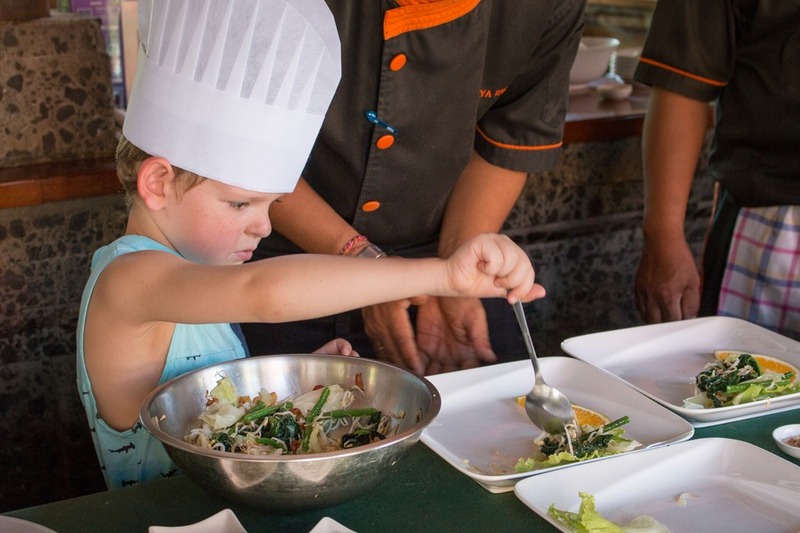 You can read more about our dining experiences at Sun Island here. 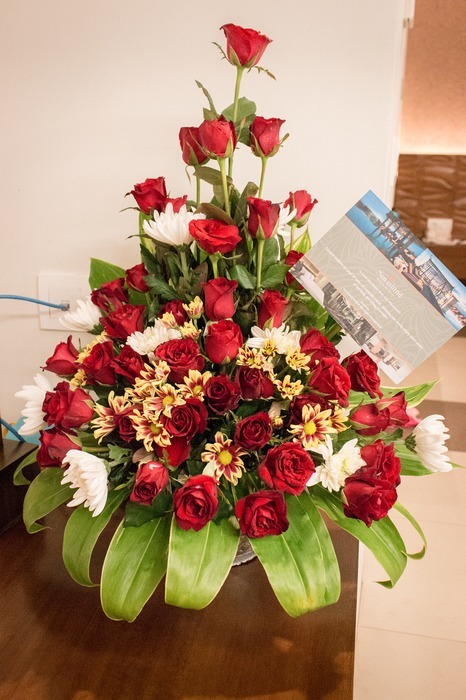 Tip: While you may not be celebrating your travel anniversary like us, I’m confident if you ask, they’ll be able to help you make any special occasion extra, extra special. Nearby were plenty of restaurants and markets. And we even found a small laundry shop that cleaned a whole bag of clothes for only AUD$3 (30,000 rupiah), ready for pick-up the next day. Bargain! Wi-Fi one particular day was slower than usual, and upon asking staff we found out the Internet provider was doing an upgrade in the area that evening. Anyway, you should be spending more time in the rooftop pool than streaming cute cat videos on YouTube. 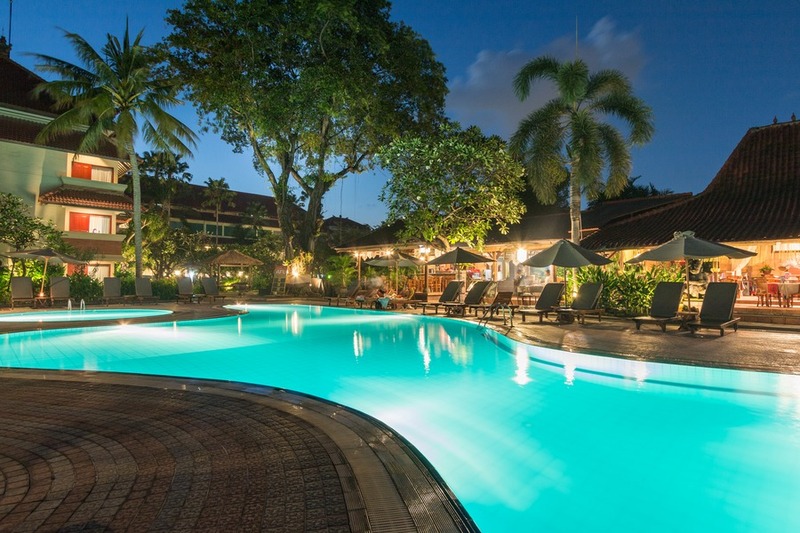 Maybe you’re in the mood for a relaxing resort that looks just like the distinctive postcards of Bali. 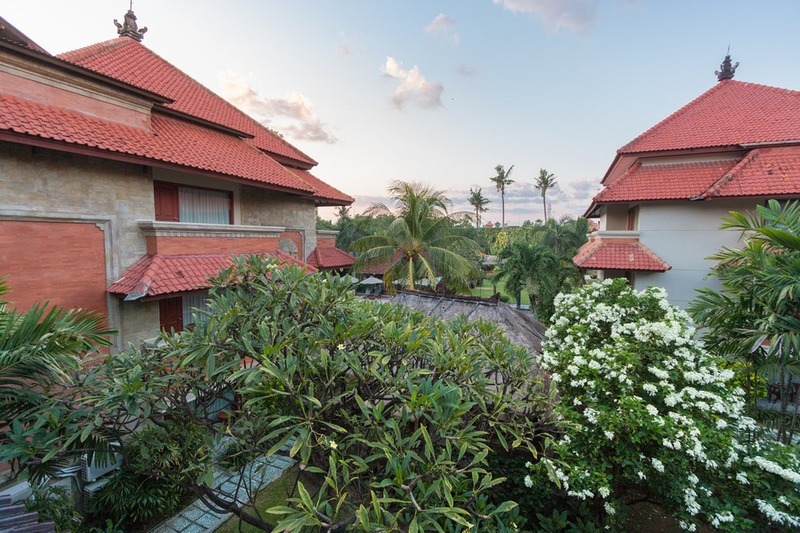 Lush green gardens, stone paths, traditional-styled buildings and an unhurried pace of life. 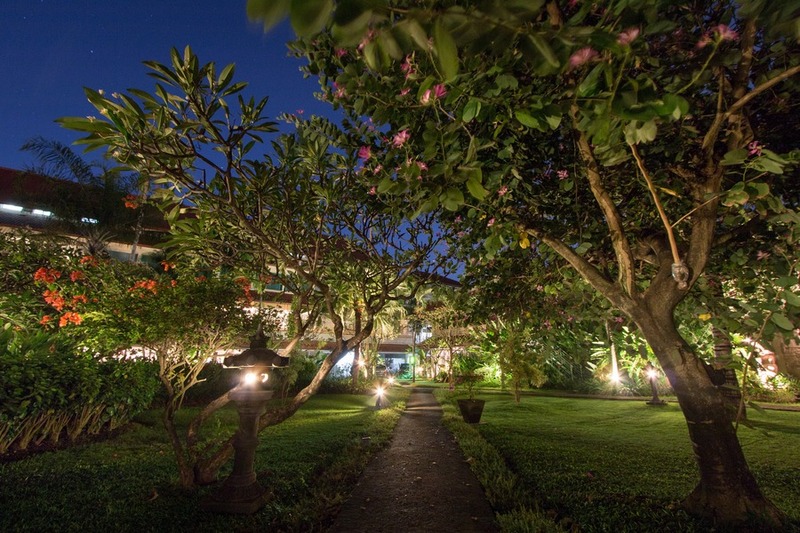 Somewhere that epitomises Balinese hospitality in a central, convenient location, close to everything. 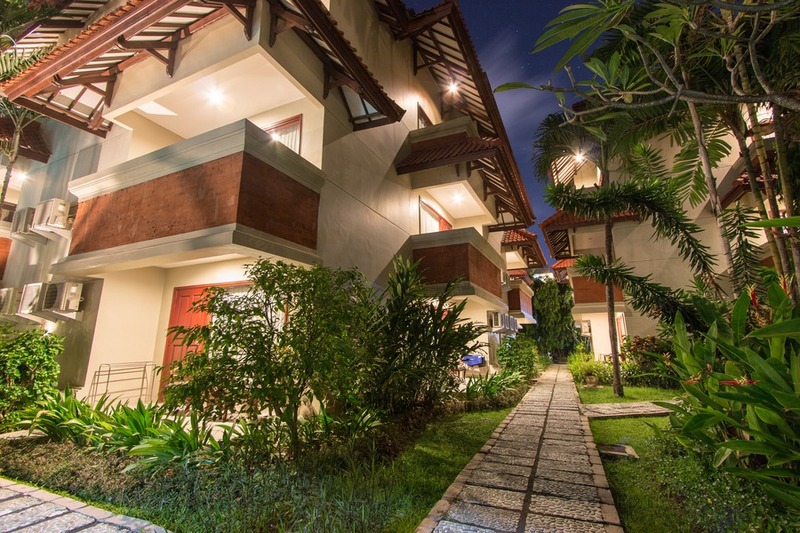 Not far from Sun Island Hotel & Spa Legian, tucked away at the end of a quiet street is this surprisingly large resort. 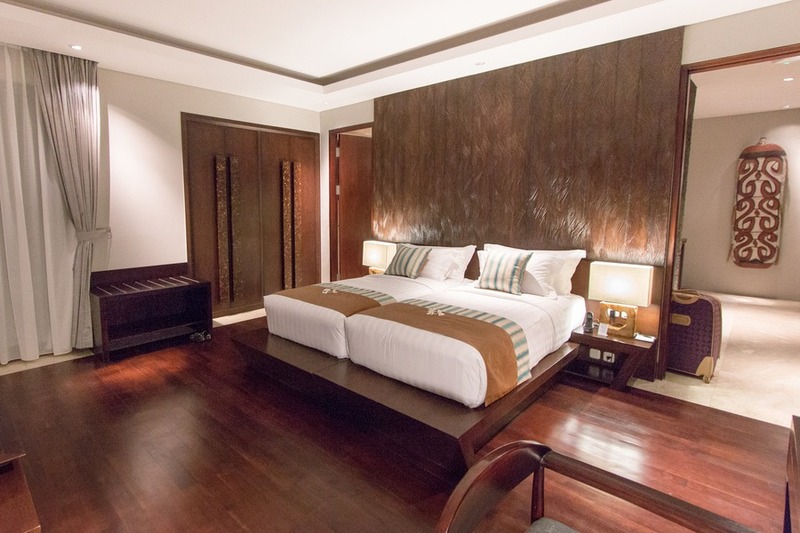 The freshly renovated rooms reminded me of my first holiday in Bali some 16 years ago. 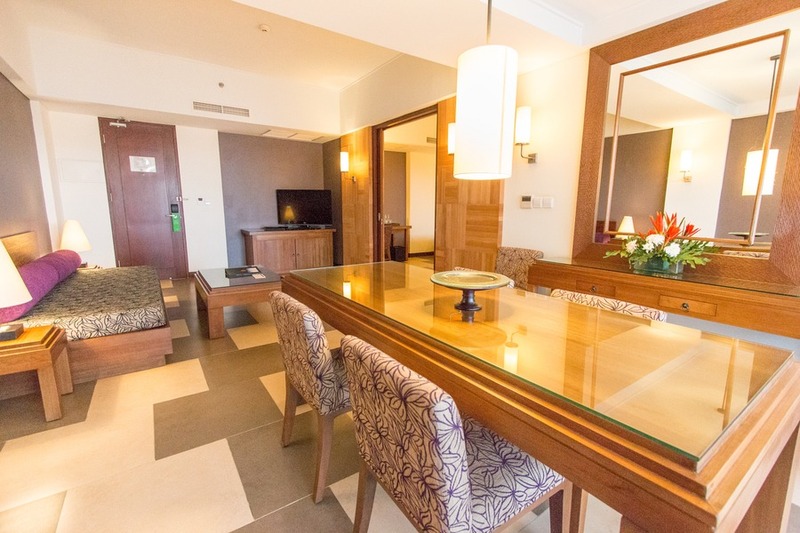 We stayed in a family suite which consisted of a standard room interconnected with a 2-storey deluxe room. 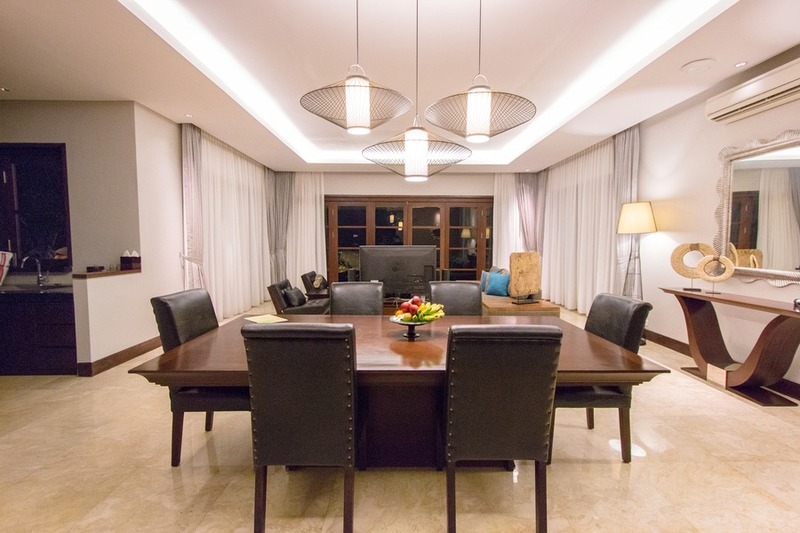 The downstairs living area provided plenty of space for the kids and was perfectly setup for families. 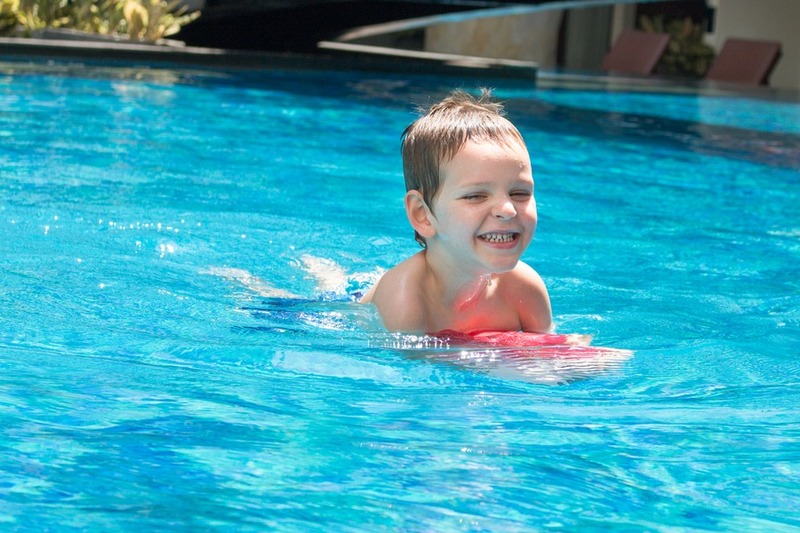 The main swimming pool was located adjacent to a shallow kids pool. An inviting restaurant overlooked the pool area as well as a large grassed area that could be used to kick a ball around. In a shaded corner of the garden was a small plastic playground well suited for toddlers. 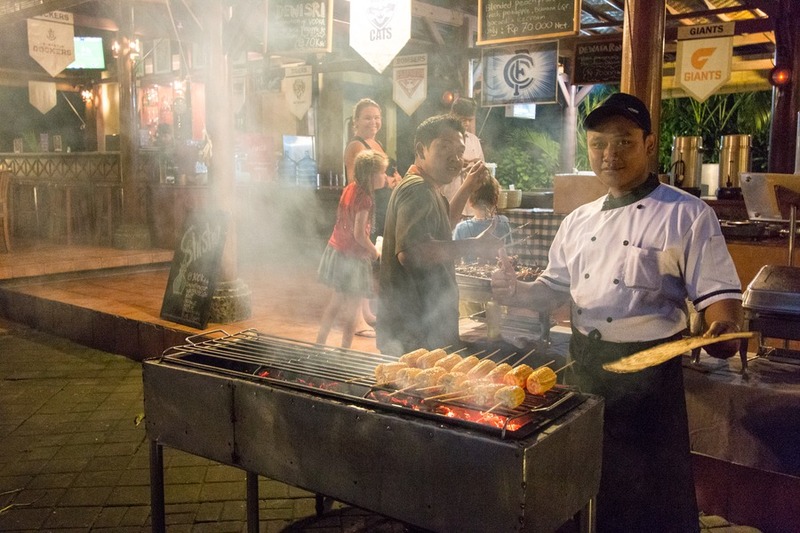 Once per week the restaurant holds a BBQ buffet for dinner, complete with live traditional Balinese dancers. 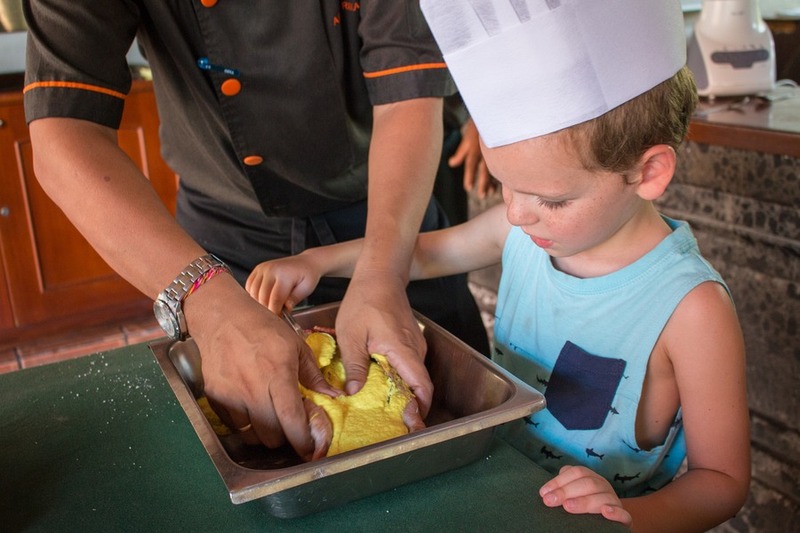 Our favourite part of the stay was a Balinese cooking class that the kids got to participate in. You can read about that here. The resort tended to attract more mature holidaymakers, but families felt equally at home here amongst the peace and quiet. Wi-Fi was pretty consistent and worked well by the pool as well as in the suite. Speeds at most hotels were around 0.5Mbps upload and download. 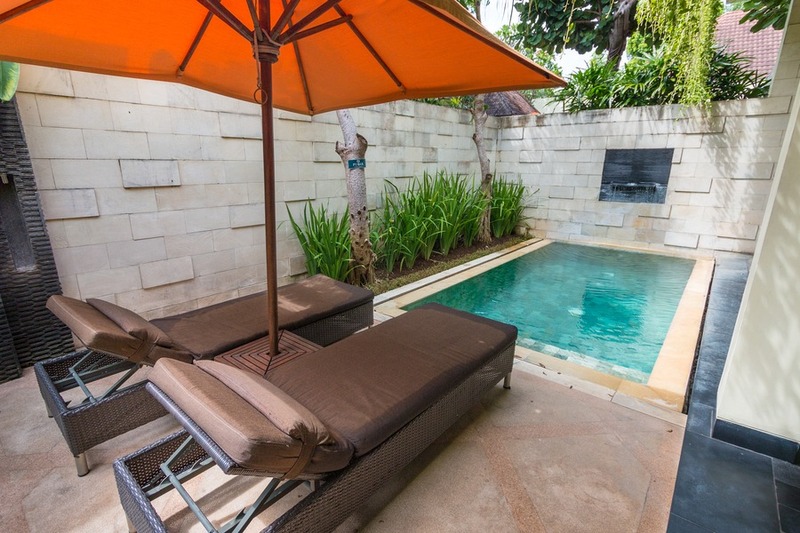 So what sort of holiday in Bali are you looking for? 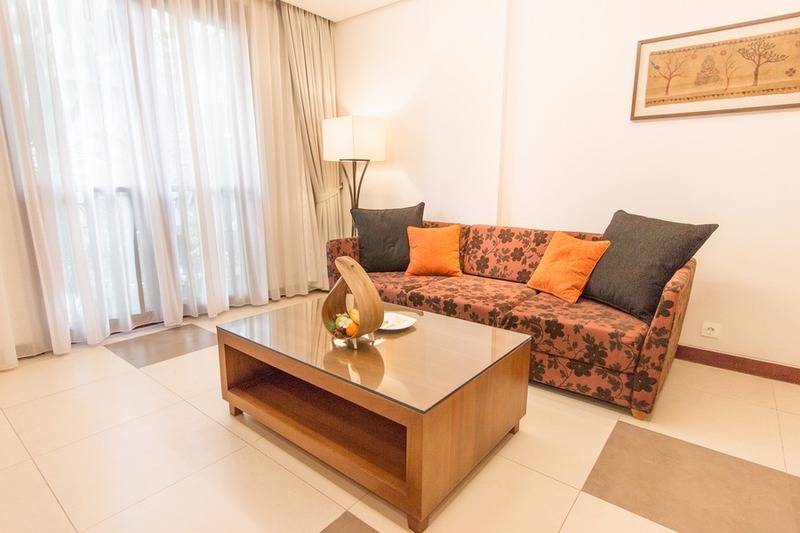 Seclusion, shopping, urban oasis, nightlife or relaxation? It looks like Sun Island has got Bali covered. And hopefully I’ve added a healthy dose of inspiration for your next getaway to the island of the gods. Regardless of your mood when you arrive, when you step onto the return flight home you won’t be able to help but smile. Bali does that. 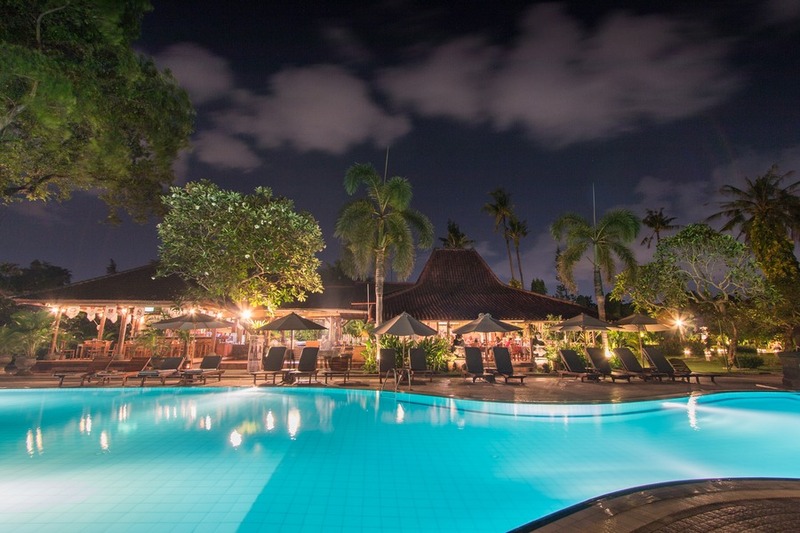 A great sampler of hotels in Bali! 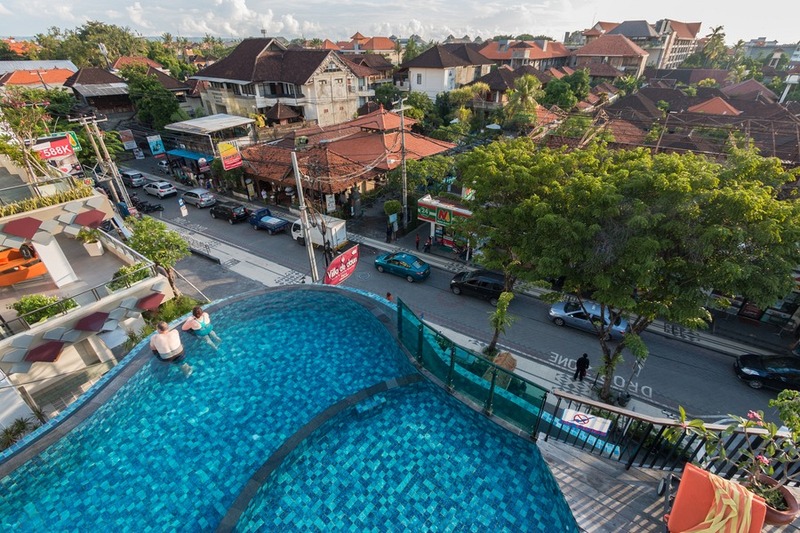 We'd prefer the Seminyak area over Kuta, as it's more upscale. But your Goa Gong villa looks like the nicest accommodation :-).